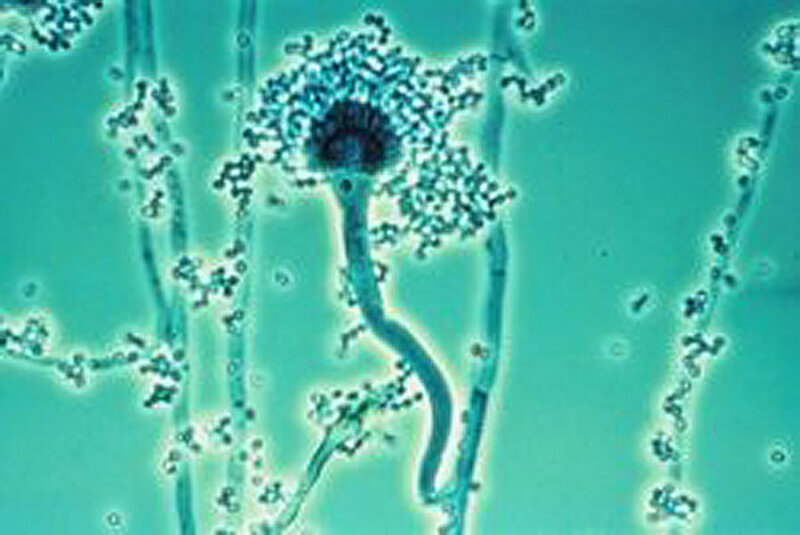 The fungus Aspergillus fumigatus is capable of rapid genetic adaptation in both natural environments and in humans according to a study published in The Lancet Infectious Diseases by Radboud university medical center/CWZ and Wageningen University & Research. This presents doctors with a dilemma: prescribe medication that may increase drug resistance or not providing treatment and increase the likelihood of the fungus settling in the lungs? Aspergillus fumigatus is a common fungus that is typically found in compost heaps where it decomposes organic materials. In order to thrive in nature, the fungus must be able to adapt to rapidly changing conditions. Researchers at the “Schimmelexpertise Centrum Radboudumc/CWZ” (Fungus Expertise Centre Radboud university medical centre/CWZ) and Wageningen University & Research discovered that Aspergillus can easily adapt to changing environmental conditions and can thrive in the lungs of patients with a compromised immune system. A study conducted by Nijmegen and Wageningen researchers suggests that any change can stimulate the fungus to adapt. This applies equally to starting a new treatment, substituting one antifungal medication for another, or entirely stopping treatment. Knowing that all environmental changes can stimulate adaptation in the fungus poses a problem for doctors. Treating the fungus with medication could lead to drug resistance, but not treating the fungus or discontinuing the initial treatment makes it easier for the fungus to settle in the lungs. Either one of these options may make it difficult to eradicate the fungus from the patient. This study primarily affects lung patients who are long-term carriers of the Aspergillus fungus, such as patients with COPD or cystic fibrosis. These results call for a modification of the current treatment guidelines. Further research is needed to gain a better understanding of how the fungus adapts in the lungs and to devise strategies this adaptation to occur in patients. Researchers at the Fungus expertise centre Schimmelexpertise Centrum Radboudumc/CWZ and WUR are working in close collaboration on this topic. They hope to gain new insights into the adaptability and resistance mechanisms of the Aspergillus fungus in both patients and the natural environment..